La-La Land Crafts HEART GLOBE Die 8342* at Simon Says STAMP! 8342 This item is on reserve until If you would like to reserve this item now, you may purchase it now with the rest of your order. We will hold your order now and ship your entire order as soon as this item is back into stock. If you would like your order to ship now, please place this item on a separate order. Success, La-La Land Crafts HEART GLOBE Die 8342* has been shared! Set of two dies, measures approximately 2 x 1 1/2 inches. Dies work with most tabletop die cutting machines, such as the Cuttlebug, Big Shot, Vagabond, etc. Dies cut through paper, cardstock, vellum, felt, cork, accetate and more! 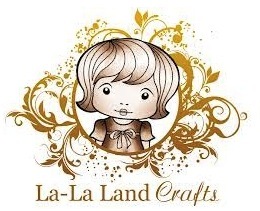 La-La-Land is a collection of characters and accessories in cling rubber stamps & wafer thin dies, along with a few fun wood veneer accessories! La-La-Land products feature Paper Doll Marci as their primary mascots and stamp character! Look for new La-La Land releases right here at Simon Says Stamp!